Save_as is a mixed-reality mobile installation which combines a physical gallery space with enhanced digitally content, triggered through the use of mobile technologies. 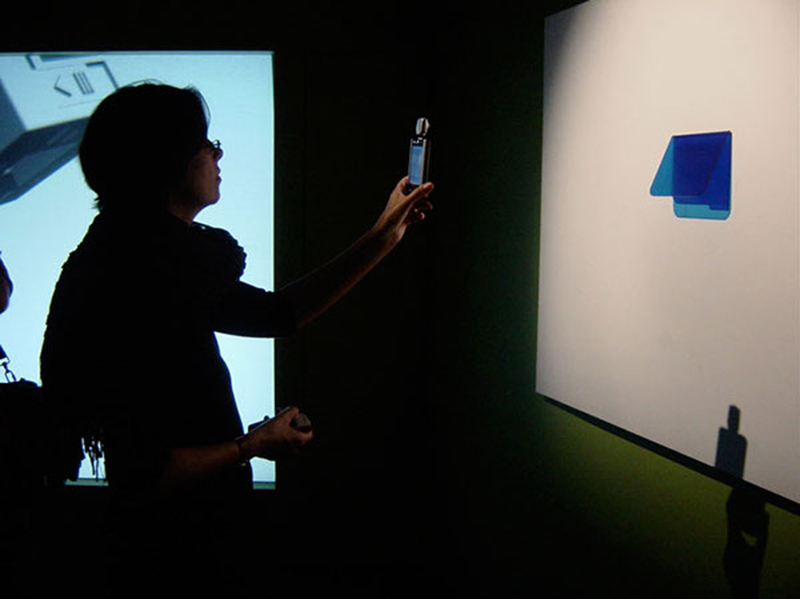 In this artwork an acrylic model of the folder icon you would normally encounter on a computer desktop interface can be seen attached to a gallery wall. A PDA with video camera attachment allows the viewer to observe the virtual content of the folder, which in this case is comprised of overlaid virtual texts. The artwork was completed in August 2007 and first displayed at The Powerhouse Museum’s Beta_space venue in Sydney. The work was also selected for the Australian Network for Art and Technology (ANAT) Portable Worlds 2nd Edition, which toured nationally in 2008 and 2009, bringing exhibition and workshop programs to urban and regional Australia. The work was also shown at UTS in 2009 as part of the “image ecologies’ exhibition.